Welcome to G3 Miniatures! We are located in North Texas between Sherman and Gainesville, just off of Highway 82. At the G3 Miniature Donkey Ranch we raise a select group of donkeys in different colors that have been bred for confirmation and temperament. Our goal is to raise show-quality miniature donkeys at affordable prices. Some of our pedigree miniature donkeys includes: Stock Market's Cash Dividend, Circle C, Country Music, and Lil' Longears Gus. 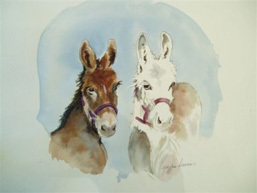 We hope you enjoy looking around our miniature donkey Web site. Please feel free to give us a call or stop by if you want to "talk donkeys!" 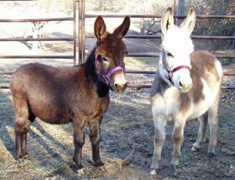 This Texas miniature donkey site written, hosted, and maintained by HUEY Productions.